Last week, encouraged by comments from a friend, I planted a short row of spinach, a short row of mustard greens and a slightly longer row of peas in my vegetable garden. Today, two of the three of them have tiny shoots coming up. These are all in raised beds but none of them have row covers. It seemed OK to plant because the gardens met the basic requirement of the ground being not too wet and workable. Given long range forecast for Minnesota, which shows no signs of temperatures anywhere close to freezing for the next week or so, I plan to plant more cool-weather crops outside today. Why not? Apparently we live in Kansas City now. Based on the U of M’s kabob test, my lawn is thawed enough to water. Fortunately, the skewer was wet. I also cleaned up some of my perennial beds. Normally, I heed the standard advice to stay out of the lawn and beds to prevent soil compaction until well into April or even May, but not this year. The University of Minnesota Extension suggested gardeners get a kabob prong and stick it in their soil. If it goes 8 to 10 inches, the ground is OK to water. If the tip is dry, get out the hoses, pronto! 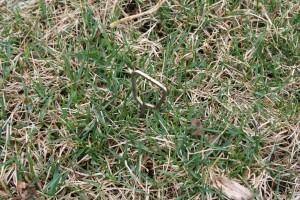 I am not raking the lawn — partly because it’s a chore I don’t enjoy much and partly because it still seems a bit soft. 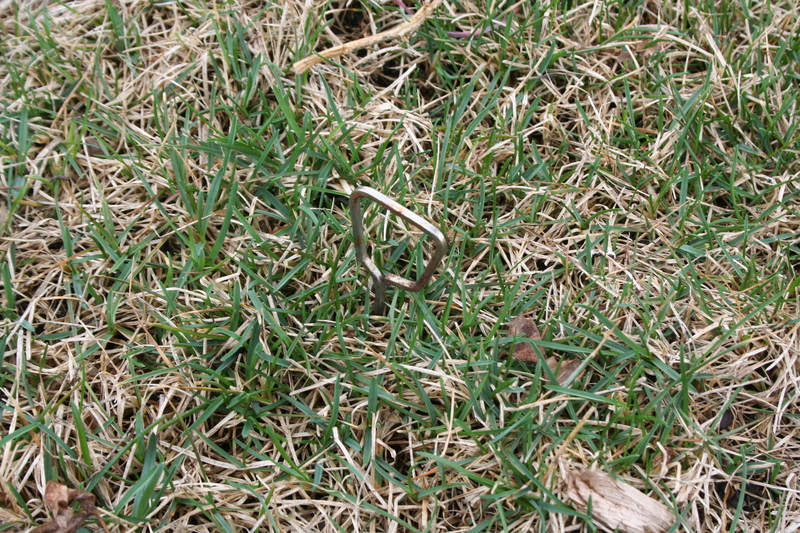 That said, the weeds are popping up already, and I had a grand time this morning pulling a few dandelions. The ground is soft enough that you can pull out the root cleanly — very satisfying. One of the stunning characteristics of this very strange spring is the speed with which spring bloomers are appearing and blooming. 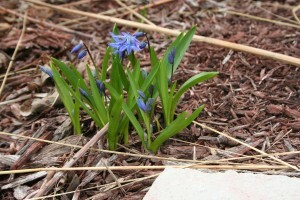 Normally, the squill in my yard come up very slowly, hold on to flower buds for a week or more and then finally bloom. Not so this year, they popped up, and it was boom and bloom in a couple of days. U of M Extension Master Gardeners from around Minnesota are reporting unbelievable amounts of growth in their gardens. Perennials such as clematis, daylilies, lupine, bleeding heart and hosta are up. Like me, other gardeners planted lettuces, peas and spinach and are seeing shoots already. Under the mulch, I’m finding rudbeckia and sweet woodruff, even the roses and hydrangea are greening up. 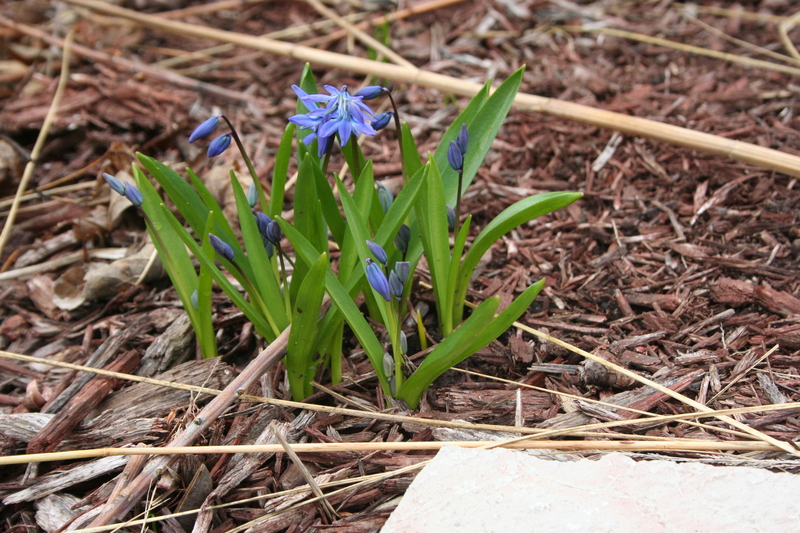 The consensus among garden experts now seems to be that it is OK to uncover perennials — just be ready to throw a sheet, blanket or mulch on them if the temps suddenly take a dip. What are you doing differently in your garden because of the unusual weather?